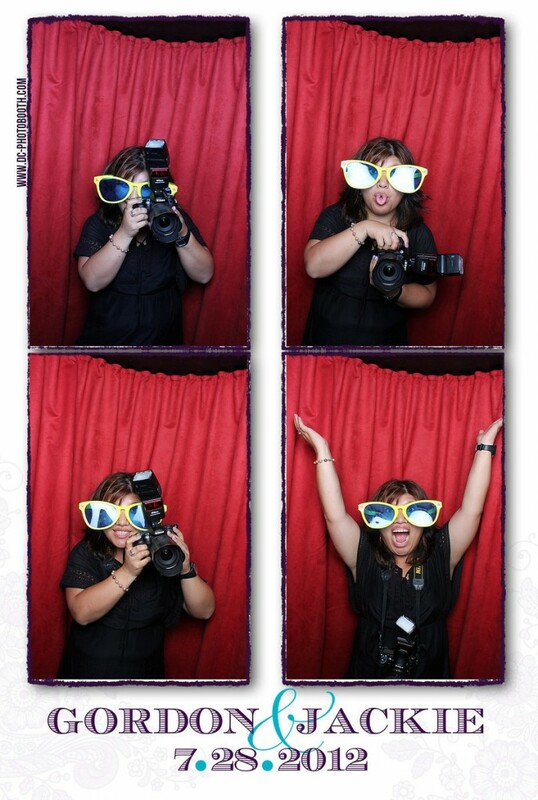 We had the opportunity to meet an awesome photographer in late July while running the photobooth at Jackie and Gordon's wedding. Her name is Laura Kuah (see her below) and she runs Laurentina Photography, specializing in weddings and other events, portraits, and real estate photography. Laura was amazing at Jackie and Gordon's wedding on Saturday (see her blog post). She was everything you could want from a wedding photographer: very professional while being extremely fun! This is her enjoying our photobooth! Immediately we were blown away by her friendly, outgoing personality. She worked very well with the bride and groom and their guests to get beautiful shots, both posed and candid. Laura sees photography as an expressive art form, about which she is extremely passionate, and it shows through her work. Be sure to check out her awesome website and her wedding portfolio. She is definitely one of the best freelance photographers in the area. We would highly recommend Laurentina Photography for a wedding or any other event where you want a fun, talented photographer.